There are thousands of jewelry designers. Only a handful stands out in the world of luxury jewelry designers. These are those that are award winning, unique, and popular. Luxury designers use only the best in materials. Their designs are classic, modern, and special. They are sought after for their excellent taste and workmanship. When it comes to luxury jewelry, these are the designers that make the best. Included in this list are those that stand out from the crowd. These are some of the most unique designers making jewelry today. Yuri Ichihashi is a designer of necklaces, rings, earrings, and bracelets that employ ancient oriental techniques of silk weaving. Tiny gold threads are braided into pieces. Each thread of gold is cut into octagonal shape maximizing the light that the pieces catch. They are stunning designs that are unique among luxury jewelry designers. Steven Kretchmer is also a unique designer. He has mastered the art of tension jewelry. He is the original tension designer that is often copied but never matched. Tension designs hold stones with a total of 12,000 pounds per square inch. This setting allows the most light to catch the diamonds and show off their brilliance. Patented technology in his designs is unsurpassed. Gumuchian designers are unique luxury jewelry designers because they are women. ‘Women designing for women’ is their creed. These female designers create jewelry that can easily move from the office to the evening, as well as upscale special event creations. They are one of the few companies that still employ old techniques in the creation of their jewelry. They are often recognized for their excellent designs around the world. Charles Green and Sons are designers from England that remain dedicated to handmade luxury jewelry. They are best known for their handmade lockets that are styled after antique designs. 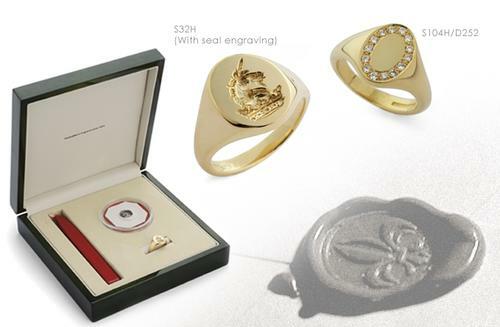 They also have an affinity for creating other antique style jewelry like signet rings. Cathy Carmendy is another distinct designer among luxury jewelry designers. She specializes in reinterpreting other eras of jewelry designs for today’s woman. 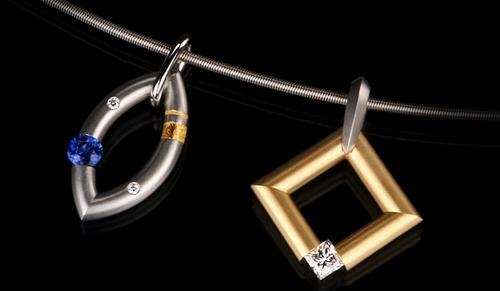 A liking for slightly colored diamonds that have an antique look is commonly used in her work. Carl Blackburn is a designer that has work displayed not only in upscale jewelry shops, but in museums as well. His work applies characteristics of fine art. He draws inspiration from nature, history, and architecture. He designs with comfort and wearability in mind.